Procter & Gamble (P&G), LuLu Hypermarkets and Dar Al Atta’a in Oman have come together to launch a unique and far-reaching in-store campaign that will benefit thousands of children and promote a love of reading. 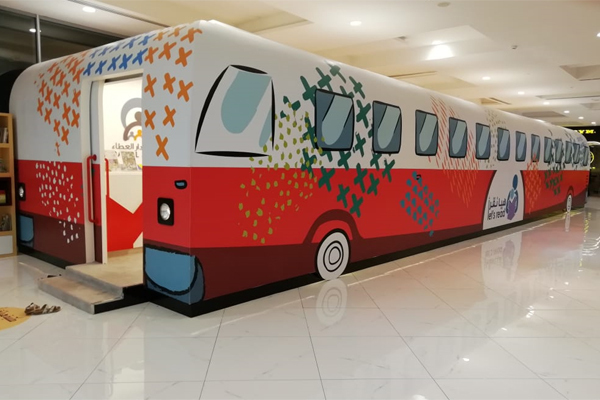 The campaign, which is running from November 20 to December 5, will give LuLu Hypermarkets’ shoppers the opportunity to contribute to and promote reading throughout the entire country. For every selected P&G brand purchased during the 16-day campaign throughout LuLu Hypermarkets in cities including Muscat, Salalah and Sohar, P&G will donate the cost of a book to Dar Al Atta’a. Through this campaign, P&G aims to contribute by providing a sound basis for lifelong learning to children. For every promoted product of Always, Ariel, Downy, Febreze, Gillette, Head & Shoulders, Herbal Essences, Olay, Oral B, Pampers, Pantene, Tide and Venus brands, P&G will donate the cost of one book to Dar Al Atta’a. In 2007, Dar Al Atta’a Association launched the “Let's Read Campaign” aiming to reintroduce the love of reading to children. The initiative has contributed significantly to promoting higher literacy rates throughout children all over Oman.